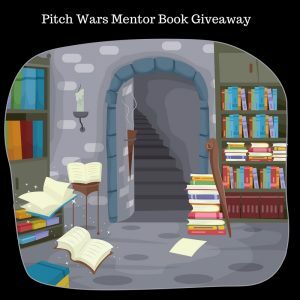 It’s the BIG Pitch Wars Mentor Books Giveaway! We wanted to show our appreciation to our wonderful community and our amazing mentors by giving away 15 of our mentors books. Yes, you heard that right 15 people will win a book of their choice. We love this! Not only does it give books to some of the writers in our community, it helps promote our mentors and show them how much we appreciate them. What do you need to do to be enter for a chance to win a book? It’s simple! Go through the bios of our mentors listed in the menu on this site, check out their books, and then come back here and enter which book you’d like to win into the Rafflecopter below. You don’t have to only choose the one listed on their bio pages, you can pick any of their books. Just follow the listed buy links to find all their books. Can I pick a pre-order book? Yes! You definitely can pick a mentor’s book that is releasing later if it’s available for pre-order. We’ll just send the book when it becomes available. What if I’m international? You can win too! You just have to make sure the book you want is available at the Book Depository. So get searching and we’ll draw winners on September 7th during #PitMad. You did know that we’ll be hosting a #PitMad Twitter Pitch Party on September 7, right? PitchWars mentors are the best!